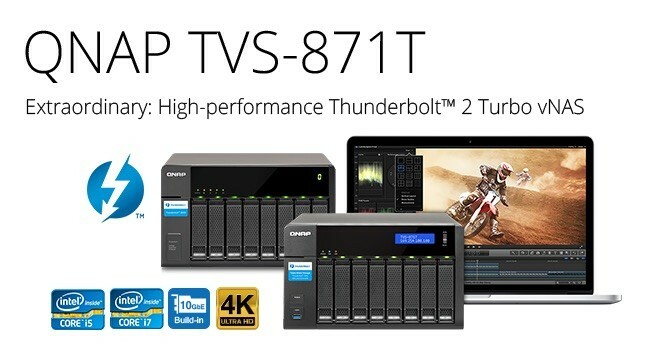 QNAP、CPUにIntel Core i5やi7を採用しThunderbolt 2ネットワーク対応したNAS「TVS-871T」を発表。 | AAPL Ch. 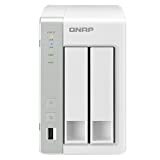 Taipei, Taiwan, August 24, 2015 – QNAP® Systems, Inc. today announced the world’s first Thunderbolt™ 2 Turbo vNAS TVS-871T that features 20Gbps bandwidth, 4K video capable Thunderbolt 2, and compatibility with the Thunderbolt-ready storage expansion enclosures TX-500P and TX-800P. With the high transfer speed of DAS and the convenient accessibility of NAS, the TVS-871T is an extremely flexible and efficient storage solution for creative media professionals looking to streamline large 4K video and design workflows.